The message he left with Trudeau was that pipeline access must be assured if the industry is to attract the capital it needs to grow, Steve Williams said on a conference call on Wednesday. “We don’t want these new projects to have to bear the burden of some of these (oil price) differentials,” he said, reiterating Suncor’s commitment to build no new major oilsands projects without new pipelines. Suncor reported that the discount paid for oilsands blend Western Canadian Select compared with New York-traded West Texas Intermediate crude widened to an average of US$24 per barrel in the first quarter, double the US$12 per barrel average in the fourth quarter of 2017. The higher difference is blamed on difficulty in getting heavy crude out of Western Canada because of a lack of pipeline space. Williams said he’s “greatly encouraged” by what Alberta and federal governments are saying recently and believes even the Trans Mountain expansion project will be built, despite proponent Kinder Morgan threatening to abandon it if it isn’t reassured about its construction by the end of May. He said he also believes Enbridge Inc.’s Line 3 pipeline replacement project into the U.S. Midwest will proceed, despite an ongoing disagreement in Minnesota over its routing. Suncor reported lower production in the quarter ended March 31 because of cold weather-related outages at its Base Camp north of Fort McMurray, Alta., and the nearby Syncrude Canada oilsands mine. It said operations returned to normal at Base Camp in February after a water line leak caused a power outage in the upgrader. At Syncrude, a blockage in a bitumen transport line led to the company starting a planned eight-week maintenance shutdown a month early. Total upstream production came in at 689,400 barrels of oil equivalent per day in the first quarter, compared to 725,100 boe/d in the prior year quarter, as oilsands output fell to 404,800 barrels per day from 448,500 bpd. Suncor reported net earnings fell to $789 million, compared to $1.35 billion in the same period of 2017. 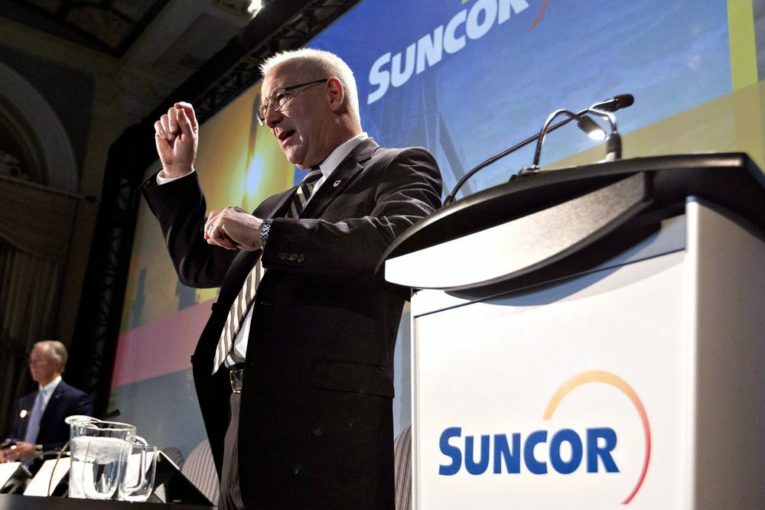 Williams said the differential had no impact on Suncor’s earnings, however, because what was lost in the pricing of oilsands was recovered through the company’s marketing and refining operations, which benefited from low-cost feedstock as well as high capacity utilization and profit margins. First-quarter earnings included a $329-million non-cash loss on foreign currency denominated debt. There was also a non-cash gain of $133 million from a deal to buy a 37 per cent interest in Canbriam Energy Inc. in exchange for northeastern B.C. mineral land holdings and $52 million.